Q. What’s the difference between the class programs, i.e. Adult Basic, Adult advanced, and Mixed Classes? A. Please visit our Schedules and Programs page for details on each class offered. On that page we have a description of each class/program. Q. What classes can I take? A. All new students start off by exclusively taking the Basics classes. After achieving the level of 3rd stripe white belt, you may begin taking the Advanced classes in addition to continuing with the Basics. After 1 stripe you may attend Open Mat sessions. Everyone under the level of Blue belt must continue taking Basic classes. However, students of higher belt ranks are welcome to attend Basic classes occasionally but should attend advanced classes to continue progression. The Kids class is for ages 8 – 13. Above age 13, we prefer you to attend the Adult class, but this can be addressed on an individual basis. Q. Do you test for belts? A. Yes, we currently test for the Blue Belt which includes putting in a certain amount of time and testing. Beyond Blue Belt, at this time advancement is given on an individual basis. When a student has reached a certain amount of classes they are eligible for a promotion. We are confident that we provide such great instruction at the academy, that students can be ranked by watching their attendance. As a result of good attendance, the knowledge of jiu-jitsu becomes more natural, but realize each person has a different learning rate and will master the techniques in their own time frame. Come to class regularly, work hard, be patient, and the promotions will come. We look for our students to show they have the knowledge and ability to perform techniques properly. They also need to have good personal character. Positive attitude, good conduct, and showing respect to our instructors, academy, and community members are all important qualities to be considered for promotion. Q. What are the belt ranks? A. For Kids (through age 15), White, White/Grey, Grey, White/Yellow, Yellow, White/Orange, Yellow/Orange, Orange, White/Green, Yellow/Green, Orange/Green, Green. Q. What equipment/uniform do I need for class? A. 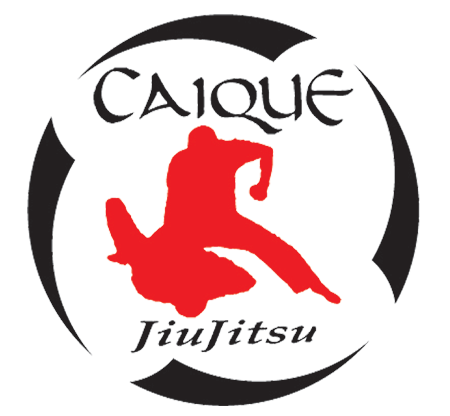 Our Brazilian Jiu-Jitsu martial arts program is based on the traditional Gracie Jiu-Jitsu system from Brazil. Throwing, grappling, and submission techniques are practiced wearing a gi (pronounced “ghee”), or kimono. It is mandatory that a clean gi be worn for each class. You may wear a t-shirt or rash guard and shorts under your gi. Also, at your discretion you may wear a mouth guard, ear protection, or protective cup. Q. Where can I buy a gi? A. Gi's can be purchased at the academy. Only academy gi's are the approved attire. Q. How do I pay for classes? A. We have several payment options available. These will be discussed with you during your initial appointment. Q. Can I pay by the class? A. No. We do not accept daily payments. We offer classes 6 days a week at various times to provide everyone with a chance to train. Also, private classes are available. We offer unlimited training per month and our tuition rates are below the national average which only includes 2 classes per week. Our program is designed for people who have the desire to put forth the dedication required to achieve the maximum benefits of our programs. If you have limited availability to attend our regular classes you may consider private lessons. Q. How many classes a week should I attend? A. We understand that people work, go to school, and/or have family activities and commitments, therefore, your personal schedule will determine how many classes you can take each week. At a minimum you should target for at least two classes per week. Q. Are all jiu-jitsu schools the same? A. No. Jiu-Jitsu schools all have their own personalities. They all don’t necessarily offer the same instruction. Before joining a school you have to know what your goals and objectives are. If your goal is learning self-defense, then make sure you find a school that teaches jiu-jitsu as a self-defense rather than one that emphasizes preparing students for cage fighting or tournament competition. Keep in mind, Brazilian Jiu-Jitsu was created by the Gracie family as a self-defense system that people can use in real life street situations, where there are no rules and no points. Many schools are straying away from that and only focus on preparing students for sport competition, which is completely different from a real street fight. When looking for a jiu-jitsu school be sure to look into the instructors’ lineage and background to make sure they got their training from a qualified, legitimate source. Also, before signing up you should visit the school to see what the instruction is like, the facility, the students, and the overall atmosphere. Just beware, there are people jumping on the BJJ bandwagon trying to capitalize on it's growing success by offering and teaching jiu-jitsu with little experience and no qualifications. They are also misleading the public in their advertising by making false claims and by stretching the truth. Ultimately selecting a jiu-jitsu school is your decision to make, and it’s worth doing some homework. A. Professor Greg Eldred has been a practioner of jiu-jitsu for over 25 years. He began as a student at the Gracie Academy in 1991, and started teaching jiu-jitsu in 1993 when he started one of the first Gracie Jiu-Jitsu training Associations in the United States, in Cincinnati, OH. Therefore, Greg has been in the business of teaching jiu-jitsu for over 22 years. For those 22 years, Greg has operated an academy in Cincinnati, OH, in Westfield, IN, and at his current location in Carmel, IN. Greg was the first jiu-jitsu instructor in southern Ohio, and in central Indiana. Even today some of the jiu-jitsu schools in those areas are an indirect result of Greg’s efforts. Greg is also the only jiu-jitsu instructor in Indiana that trained directly under the legendary Royce Gracie for more than 10 years. Q. Do you always train with a gi? A. Most of the time. However, the gi is removed for training in the summer months in some of the classes. Brazilian Jiu-Jitsu was created as an effective street self-defense system. It provides you with the tools to defend yourself in real life situations. Wearing the gi simulates everyday clothing that people wear. Q. How do I get started or visit the acadmey? A. Please Email or call us to make an appointment in advance. We cannot take any walk-in appointments because we may be busy with a class, private lessons, or another appointment. We want to make sure we set aside time to meet with you to discuss our programs and answer all your questions. During your appointment you are welcome to take a free introductory class, or just watch if you wish. This is a great opportunity for you to meet the instructor, see the facility, and interact with some of the students. Also this is a chance for you to see first hand some of jiu-jitsu’s proven self-defense techniques, and to see the quality of instruction at our academy. You will not get any high pressure sales pitch, and there is no obligation. If you are a jiu jitsu student visiting from out of town you are welcome to join us, but you must give us advanced notice, and there is a $50 class fee. All visitors can contact us at indianapolisbjj@aol.com or call 317-506-0973 to set up an appointment.